Today begins the 2018 FIFA World Cup, and to mark this occasion, we take a look at Lord Mountbatten’s associations with Southampton Football and Athletic Company Limited, and the Football Association. During his lifetime, Lord Louis Mountbatten was associated with many charities and organisations, as a member, patron or president. He attended numerous dinners and openings, and gave large numbers of speeches in connection with these societies; while, inevitably, he had only an honorary role in many, others took up more of his time and energy. The archives comprise mainly correspondence with the organisations, often about invitations to dinners and openings, or to give speeches, and the papers were originally maintained in a separate sequence of files in the office of Lord Mountbatten’s private secretary. The files also contain many information booklets and annual reports sent by the societies. The papers are now arranged in files in alphabetical order by name of organisation. From around 1946, Lord Mountbatten was President of the Southampton Football and Athletic Company Limited. 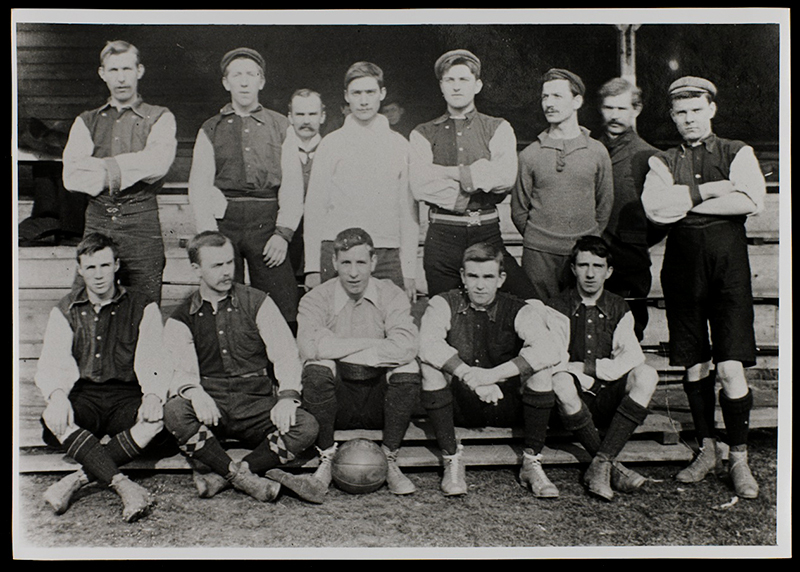 Founded in 1885, the Club started as a church football team that was part of St. Mary’s Church of England Young Men’s Association, where the Club’s nickname “The Saints” came from. The Saints joined the Southern League in 1894 and the Football League Third Division in 1920. At the time Lord Mountbatten became President; the Club had narrowly missed promotion to the Second Division and finished in third place. The correspondence from the Club that forms part of the Mountbatten papers includes Christmas wishes and invitations to home matches. Lord Mountbatten later became Patron of what is now Southampton Football Club in 1955. Dating between 1956 and 1959, correspondence with the Football Association in the Mountbatten papers includes requests for Lord Mountbatten to be Chief Guest at Cup Finals; invitations to dinners; and a request to be Honorary Vice-President of the Football Association Council. To mark this week’s annual Henley boat race between Oxford University and Cambridge University, we take a look at our collections relating to the University’s Boat Clubs. Starting from Phyllis Court to Temple Island along the famous ‘Henley Reach’, the first Oxford-Cambridge Boat Race for men happened in Henley in 1829. The event didn’t occur again in Henley until 1975, when a Boat Race between men’s lightweight crews from Oxford and Cambridge was organised by Richard Bates, a Cambridge Undergraduate. The Women’s Boat Race took place in Henley between the years 1977-2014, along with a race between the reserve crews Osiris (Oxford) and Blondie (Cambridge). In 1984, the women’s lightweight race was instated, and a 1,750 metre contest between the two top male and female crews from the Oxford and Cambridge bumps races was inaugurated in 2010. Another famous route used for boat races between Oxford University and Cambridge University is based along the River Thames from University Post, Mortlake to University Stone, Putney. The plan below shows the route, which is part of a handout for the river race that the University of Southampton participated in on 22 March 1952. As part of the University Archives collection we hold photographs of the Men’s and Women’s Boat Clubs that were part of Hartley Society (previously called the Hartley University College Past Students’ Association). Dating from 1956, the photographs consist of formal ones with the men in their rowing blazers and women in their whites, and celebratory ones showing the christening of new boats given to the Clubs. 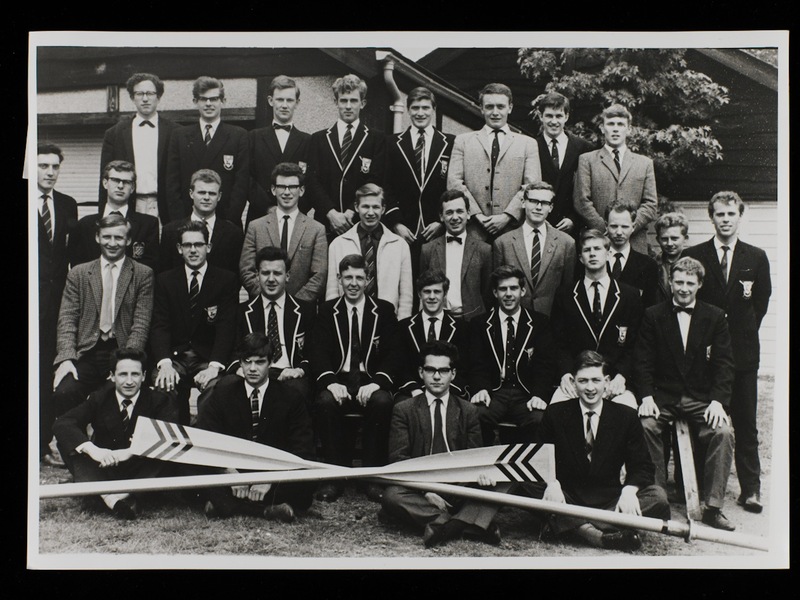 The photograph below shows the University’s first team to be entered for Henley Royal Regatta, in the Thames Cup division 1962-3. They also achieved 12th place out of 150 crews in the Reading Head of the River race. Southampton University Boat Club (SUBC) registered with British Rowing in 1929, and its first president from that year was Mr Randall Cesson. The diagram below shows the planning of the Club’s logo during the late 1950s. 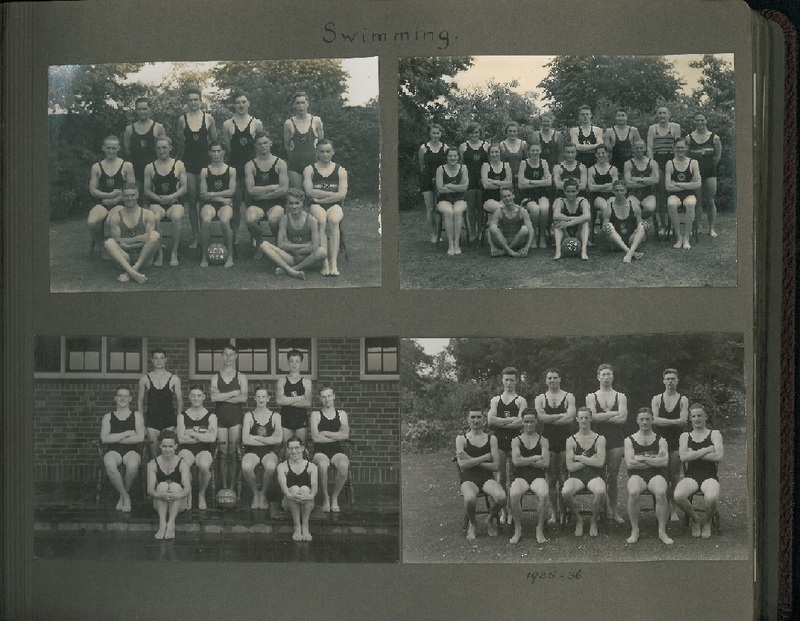 In the University’s Boat Club papers (MS 310/46) can be found a range of resourceful items dating from 1946-2015; including correspondence, lists of race results and crews, pamphlets, photographs, and programmes. An insight into the training regime for SUBC in the 1960s can be viewed from the body-building exercise sheets in the Club papers. Such exercises were suggested to be done daily for 45 minutes. Steps included “Sitting, legs straight, hands on floor near hips, alternate leg raising as high as possible” for 50 seconds, and “make like a windmill with arms in circles, breathe deeply” for 30 seconds. The sheet includes 38 steps altogether, ending with “Weight enough until tomorrow”! SUBC is now one of the largest clubs of Team Southampton with over 100 members. Alumni include several world class athletes, notably Olympic Silver Medallists Per Sætersdal, Miriam Batten, and Guin Batten. Are you a member or supporter of Team Southampton ? You are making history! Generations of students and staff – men and women – have built a strong sporting tradition at Southampton and you are following in their footsteps. In 2017, SUSU has 93 sports teams competing at a national level. How will your team be remembered? Team photos record more than names and faces – they often detail trophies, mascots, special occasions and successes, the sports-wear and sports equipment of the day. Are they formal or informal? What do they show about team spirit and pride? What about the setting – they may be taken on the pitch or show University locations and sports facilities. How does the past link to the present? 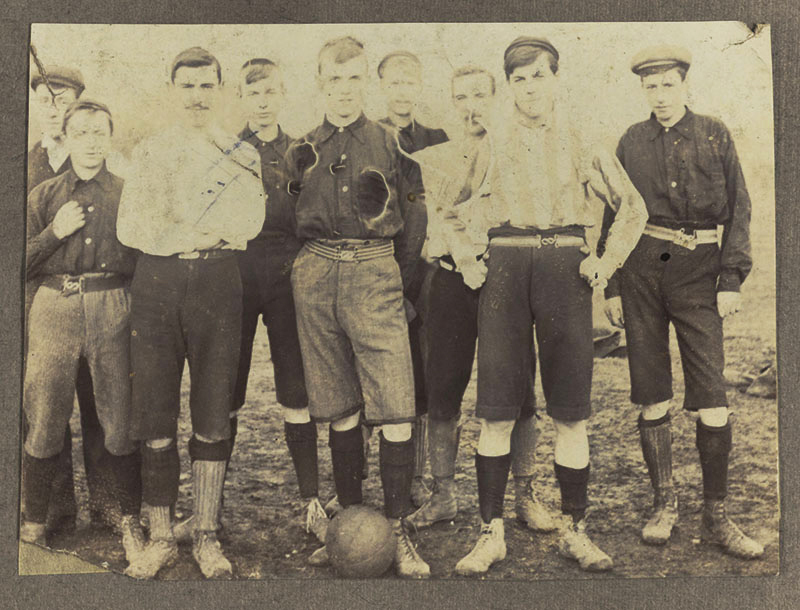 In Special Collections we hold many records relating to University teams and their achievements, from the earliest days of the Hartley Institution at the end of the 19th century – to the modern sports teams of today. They include photos, programmes, fixture lists, match reports, accounts and papers – even a rugby shirt worn by R.E.Brown, captain of the first XV in 1933-4! 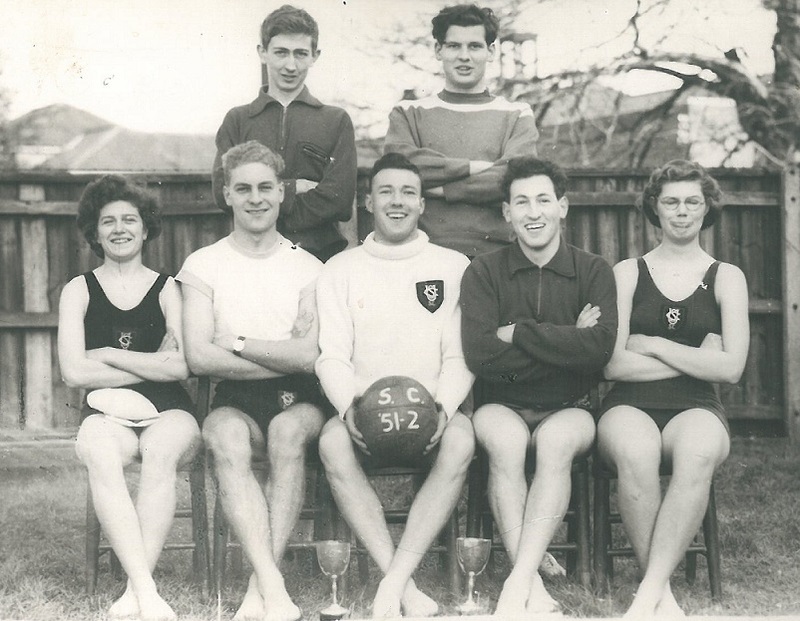 Together they tell the story of sport at Southampton – an important aspect of University life. This is the University Boat Club, 1962-3. The caption reads: “1st VIII were placed 12th out of 150 crews in the Reading Head of the River, and for the first time the University entered for Henley Royal Regatta in the Thames Cup division” MS1/7/291/22/4/125. We have recently contributed to a project to celebrate the UK’s sporting heritage. The aim is to bring together information about sports archives and the people who care for them. By adding details of our collections to this website we are helping to build a national list of all the sporting heritage collections in the UK. You can use it to search by sport or location; discover what’s on; read featured articles, and more. 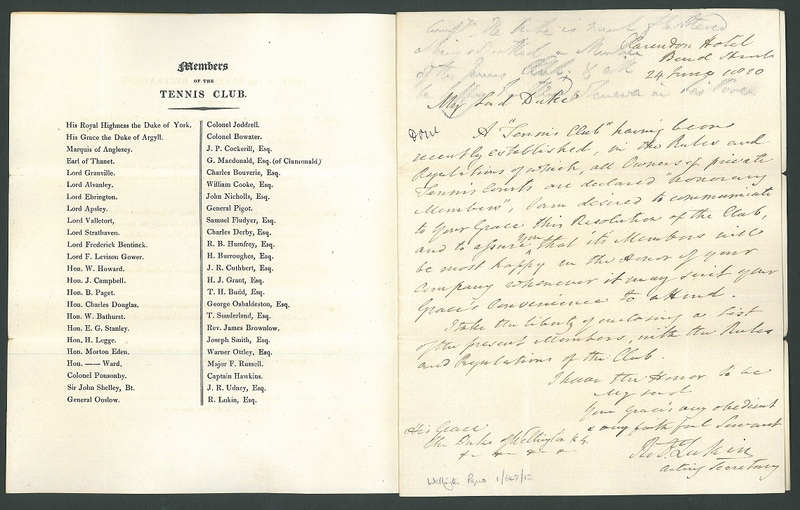 As the heat and the tension rises at Wimbledon this week we look at the history of tennis through the University Archives. 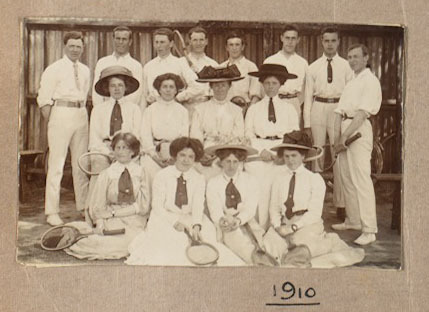 This charming Edwardian photo of Hartley University College students in 1910 shows the truly elegant sportswear of the time. While the ladies graced the courts in long skirts and large hats, the must-have fashion accessory for gentlemen seems to have been – the pipe?! The Wimbledon Championships – established in 1877 by the All England Croquet and Lawn Tennis Club – is the oldest and arguably the most prestigious of our tennis tournaments. The popularization of lawn tennis (not to be confused with ‘real tennis’ – see below) is widely credited to Major Walter Clopton Wingfield who published, in 1873, the first official rules of a game he called “Sphairistike” (from the Greek: “the art of playing ball”). 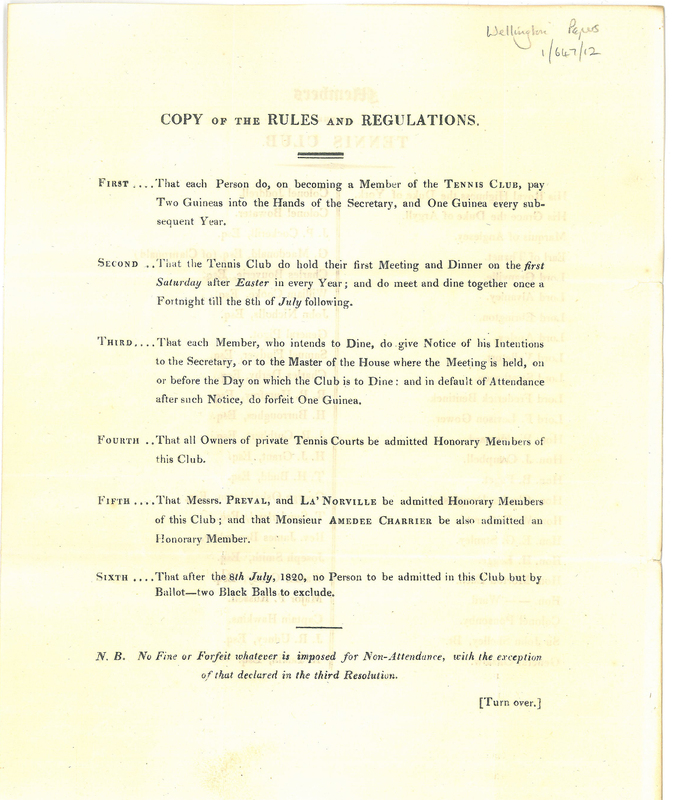 He patented the rules and equipment of the game the following year and quickly sold 1,000 tennis sets at 5 guineas a piece! His pamphlet “book of the game” is now very rare; it set out the history of the game, the erection of the court, and the rules. These, and the scoring system for ‘lawn tennis’, have hardly changed since the 1890s: so our modern game would have been familiar to the Hartley University College students of one hundred years ago. 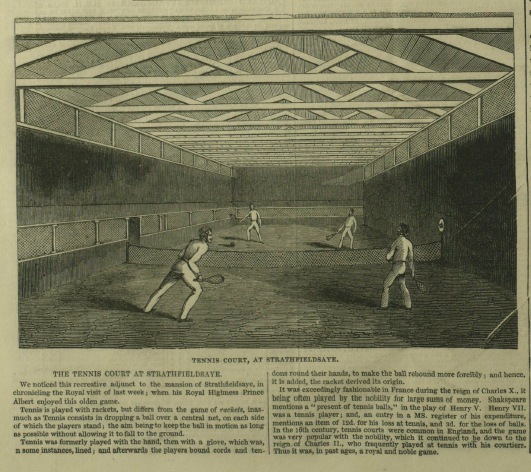 The earliest origins of Tennis, however, fade into the mists of time and are disputed – some authorities mention the Egyptians; many refer to a game popular with European monks in the twelfth century. This was played around a closed courtyard and the ball was struck with the palm of the hand, hence the name jeu de paume (“game of the palm”). The name ‘tennis’ may derive from the French word ‘tenez’, from the verb tenir, ‘to hold’. Illustrated London News, 1st February 1845. The Special Collections has a developing programme of events and visits designed to introduce students to both the collections and the work of the Division. Last week a group of students joined the team for a behind the scenes visit and a taster session working with the collections. As well as the opportunity to decipher Queen Victoria’ handwriting, the students assessed albums compiled by the Society of Old Hartleyans relating to student life from the first half of the 20th century, helping to choose items that we could use for promotional purposes. Here are the choices of three of the group, Greg, Núria and Victoria, with their explanations of why the items appealed to them. 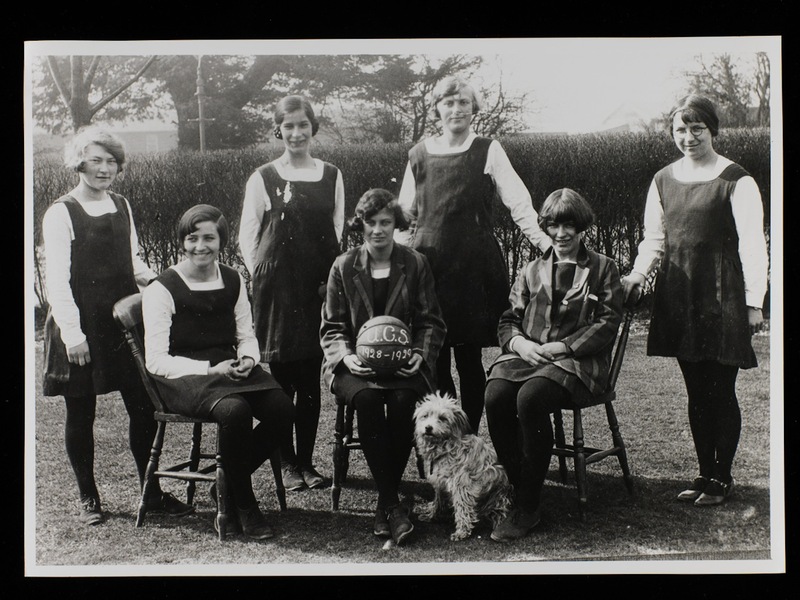 The early days of the University’s Football Club were on a modest and local scale. Home matches were mainly played at the Shirley Ground. 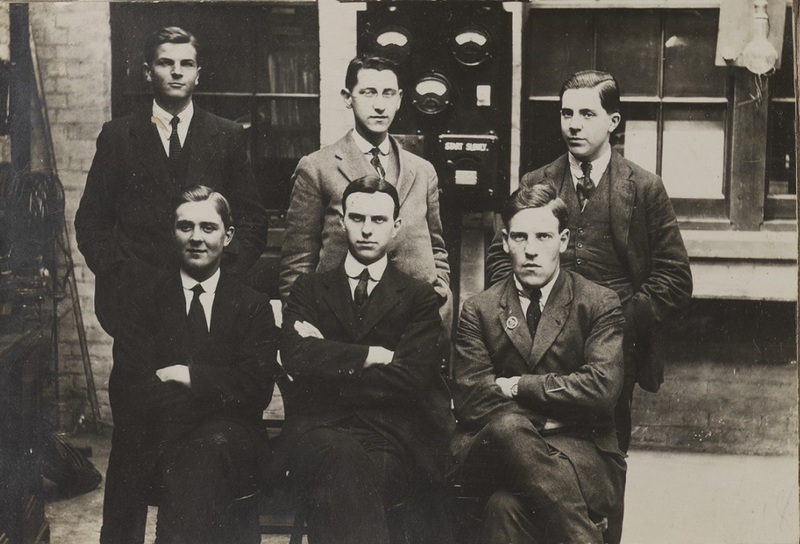 The emphasis of the Football Club of 1900s was on “healthy recreation and vigorous exercise for men students” rather than on sporting prowess, hence the lack of formality in the clothing that Greg noted. The one-piece costume as worn by the men in these images was typical of the designs in the 1920s. In response to demand designs became more body-conscious and athletic abandoning long sleeves and replacing them with generously-cut armholes. This mass produced one-piece enjoyed a considerable chunk of the market in men’s swimwear in this decade. 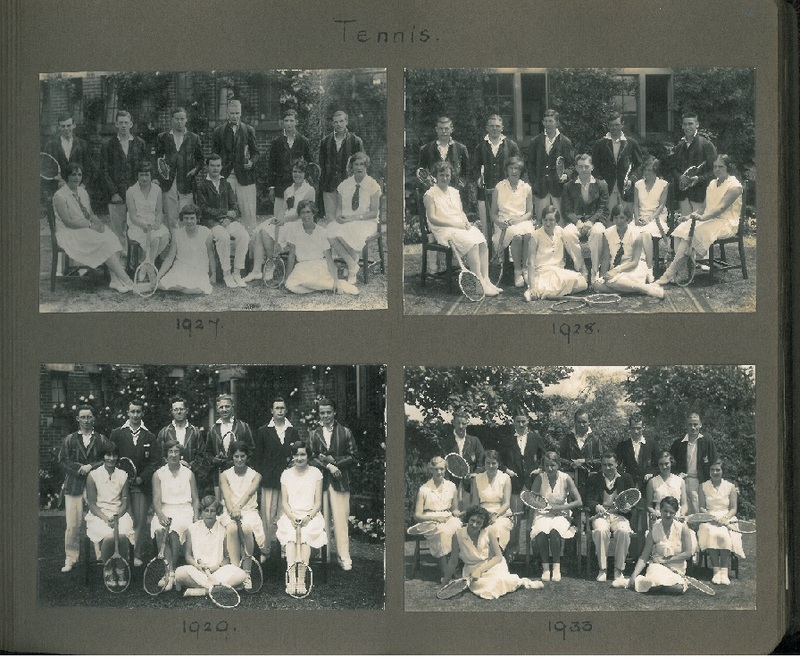 Núria also was drawn to the images of the tennis club in the 1920s and 1930s, evoking memories of her experience of joining a sports club at the University. 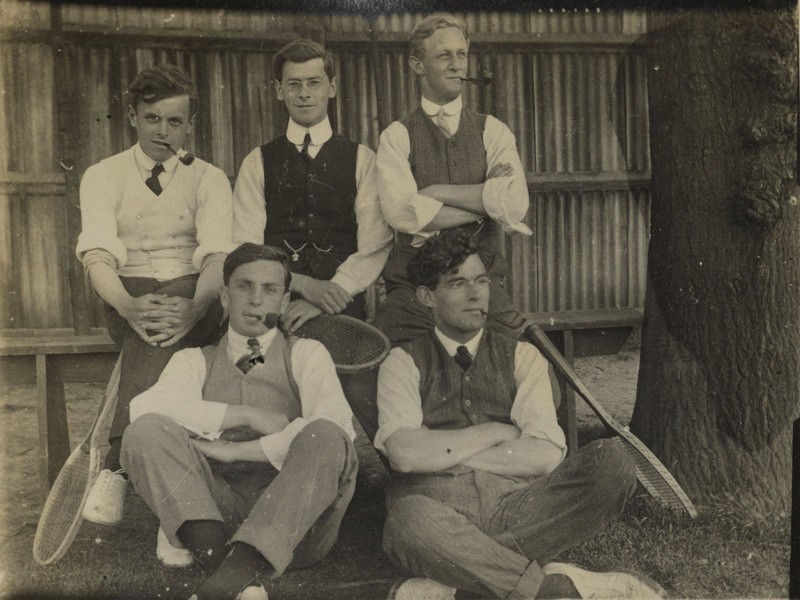 There are other photographs in the collection which show women students wearing ties. This was a period of formal dress codes when academic dress was still required when students attended lectures and exams. The second choice relates to the reunion picnic, in the New Forest, at Whitsun, 1951, of the Society of Old Hartleyans: this was the final event of the weekend programme, including a dinner attended by 226 the previous evening. The minutes of the annual general meeting of the society noted that “11 members attended a picnic to Beaulieu Heath organised by Mr Glover-James”. Victoria notes, “it is the informality that appeals to [me] more than anything and the fact that … people look happy…. 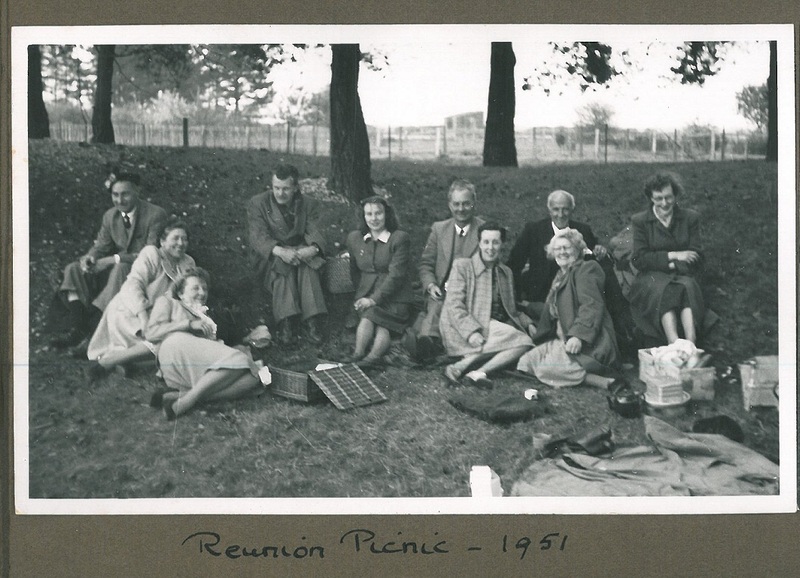 The photo also provides an insight into the clothing… and even though this is a picnic, people are still fairly formally attired”. The Special Collections will be running a number of drop in sessions focusing on different aspects of its holdings in the autumn. So if you are interested, do keep an eye out for announcements. We hope that you might be able to join us. While memories of Euro 2016 start to fade away, the memory of one past English footballing triumph still remains fresh. For on this day in 1966, England won football’s World Cup for the first time since the tournament had begun in 1930. 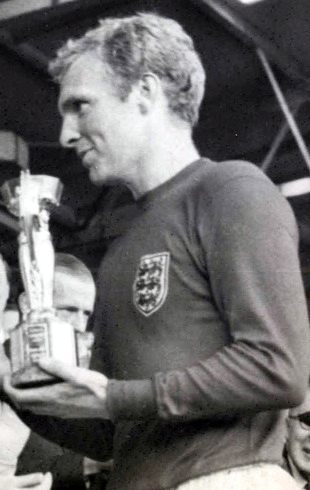 Captained by Bobby Moore, who was described by manager Alf Ramsey as the “spirit and heartbeat” of the squad, England defeated their opponents, West Germany, 4-2. They played in front of a crowd of over 93,000 spectators at Wembley Stadium, London, including the Queen and the Duke of Edinburgh, and a much larger TV audience. The then unconventional attacking formation adopted by the team earned them the name of the “wingless wonders”. But the match is particularly remembered for Geoff Hurst’s third goal in the final moments of extra time, making him the first player to score a hat-trick in a World Cup final. Bobby Moore holding the Jules Rimet trophy. Today the world of college football is a very different one, both in terms of character and organisation. There exist both men’s and women’s teams that compete in the British Universities and Colleges Sport South East Conference as well as competitions overseas. The BUCS football programme has become one of the largest that the organisation runs, with over 450 men’s and 150 women’s teams across 100 leagues. Both the men’s and women’s teams have enjoyed a certain success in the competition with the men’s team topping the Western 2A championship in 2015/16 and the women’s team triumphing in the Women’s 2A Western Conference in 2008/9, after being runners up in 2006/7 and 2007/8. And so we wish everyone who holds football dear continued enjoyment in “the beautiful game”.